If you're looking for the perfect gift for a February girl, Amethyst jewelry is it! 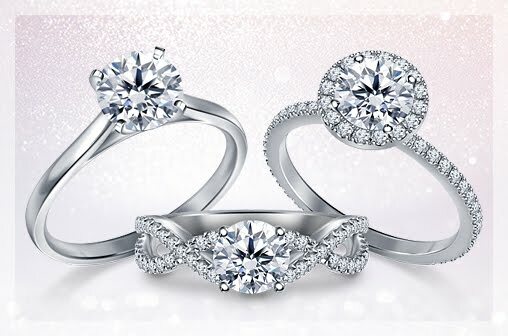 In fact birthstone jewelry for any month is sure to delight your family and friends because it shows the personalized thought you put into choosing the gift. 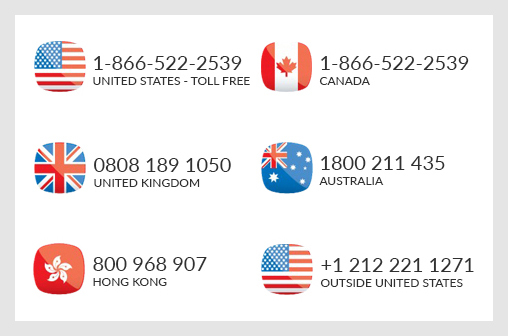 Let's talk Amethyst! It is said to bring tranquility into the life of the wearer (and in this cold wintery month, they could definitely use it). 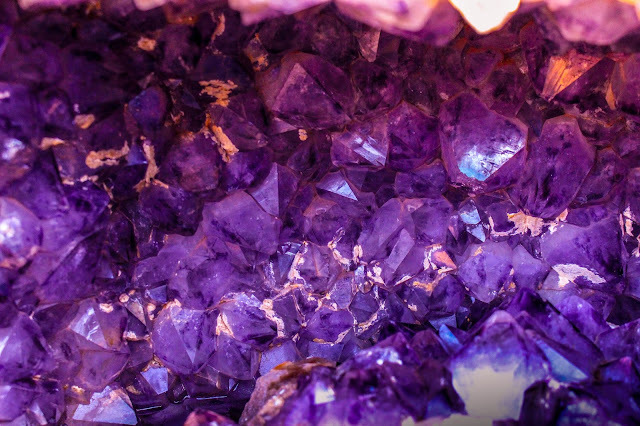 The beautiful, vibrant purple hue of the gemstone is another bonus in the cold, dark month of February. Amethyst is a type of quartz and it is found all over the world including the United States. It often forms in geodes and in cavities of granite rocks. Although, the deep, rich purple is the most popular hue of the gemstone, it occurs in a whole spectrum of purple. Ranging from a pale pinkish purple to the deep hue we have come to associate with amethyst. Actually a rough crystal of Amethyst can have a range of colors and the way it is cut decides the final color of the gemstone. 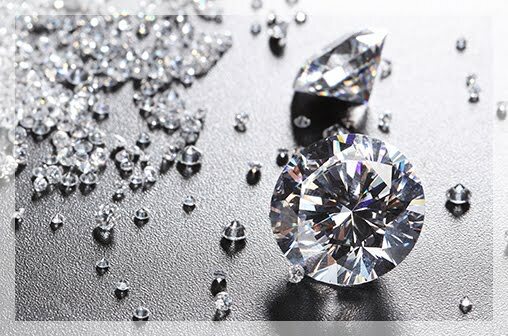 The gorgeous February birthstone ranks 7 on the Mohs scale of hardness. 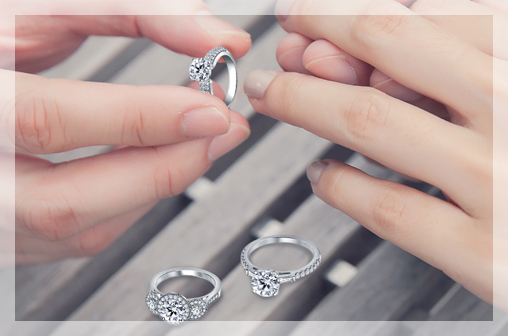 Therefore it is not as tough as a diamond which ranks a 10 or a sapphire which ranks 9 but it can definitely be used for special and everyday jewelry. But do be careful that you don't store Amethyst jewelry along with diamond jewelry in such a way that the diamond can chip the gentler gemstone. The lovely shade of Amethyst goes well with warm and cool metal settings. 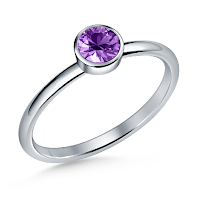 Take a look at our Amethyst solitaire rings which are set in white gold and rose gold. They are both gorgeous and show the versatility of the gemstone. 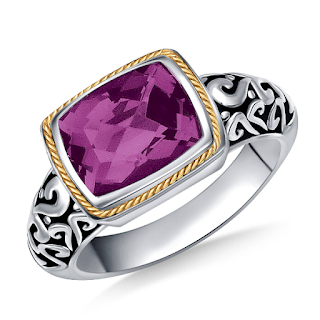 If you're looking for a statement ring, we have an absolutely delightful ring in our Amethyst collection. An east-west ring, it features detailed scroll work on the band with an oxidized finish. 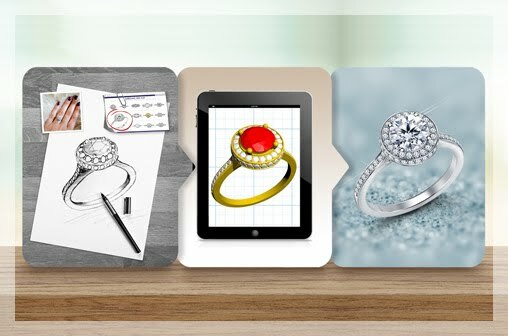 Take a look at the rest of our collection to choose something thoughtful and personalized.